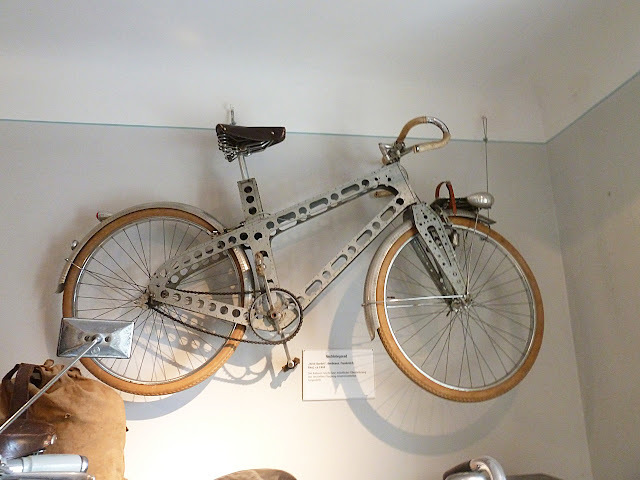 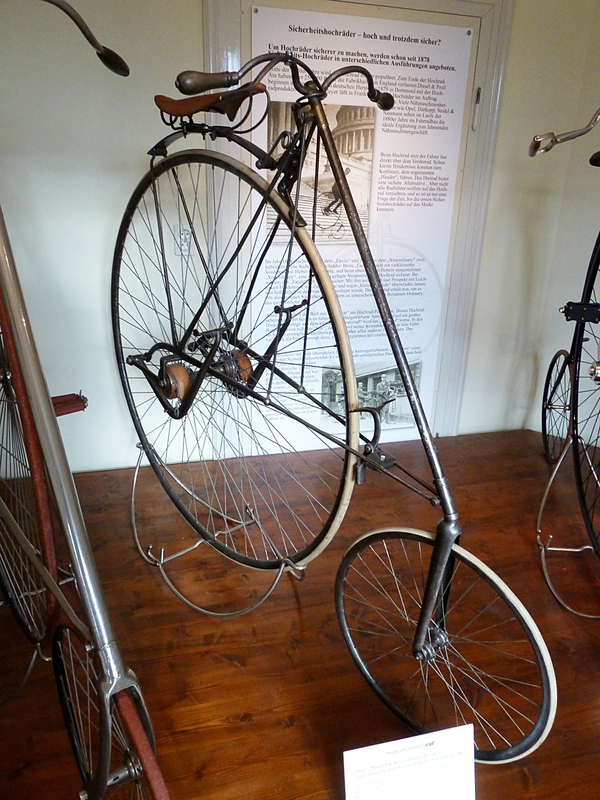 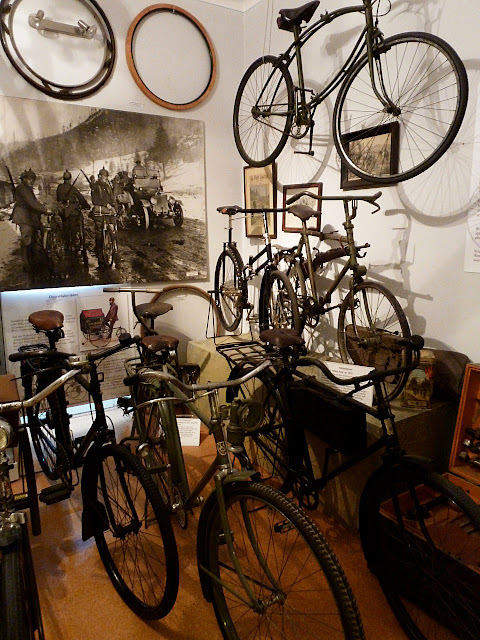 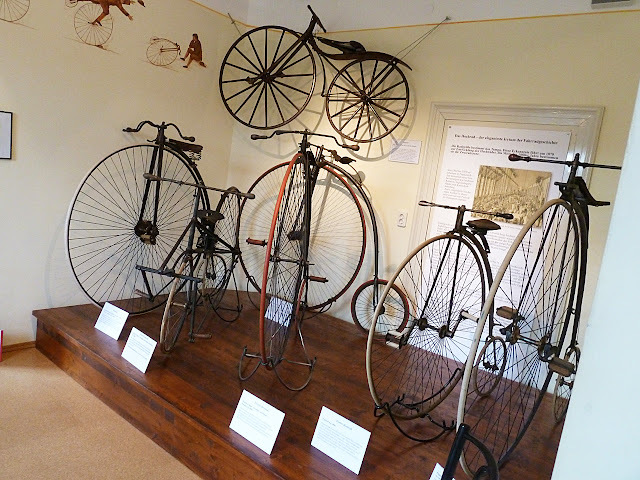 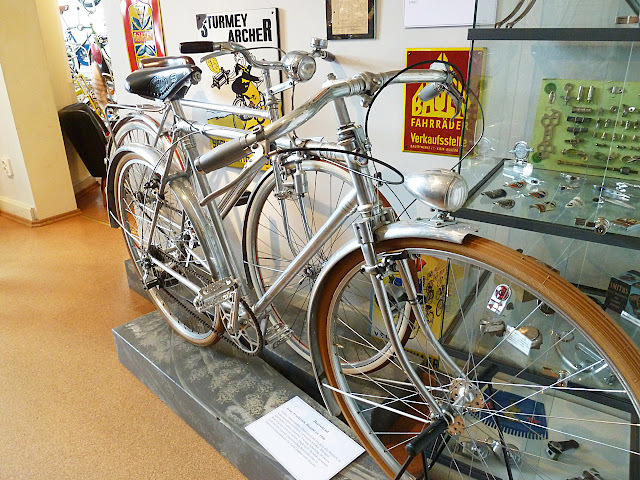 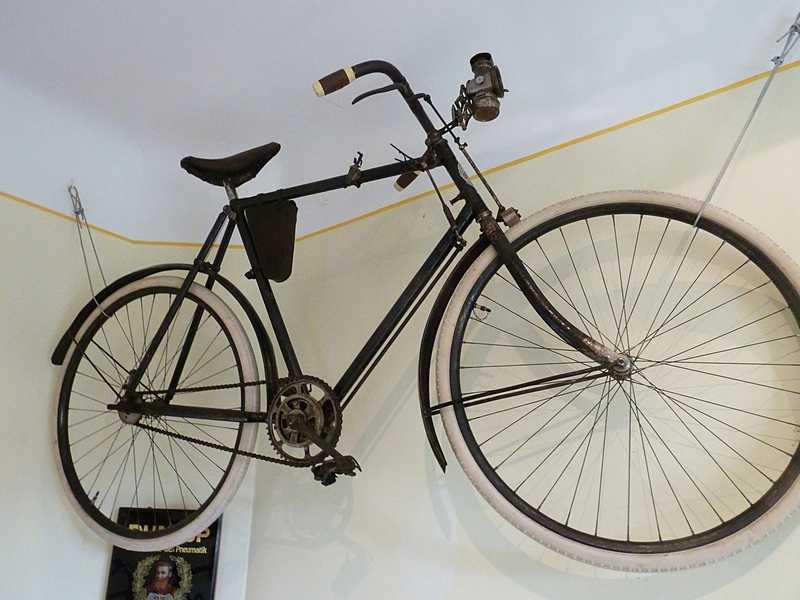 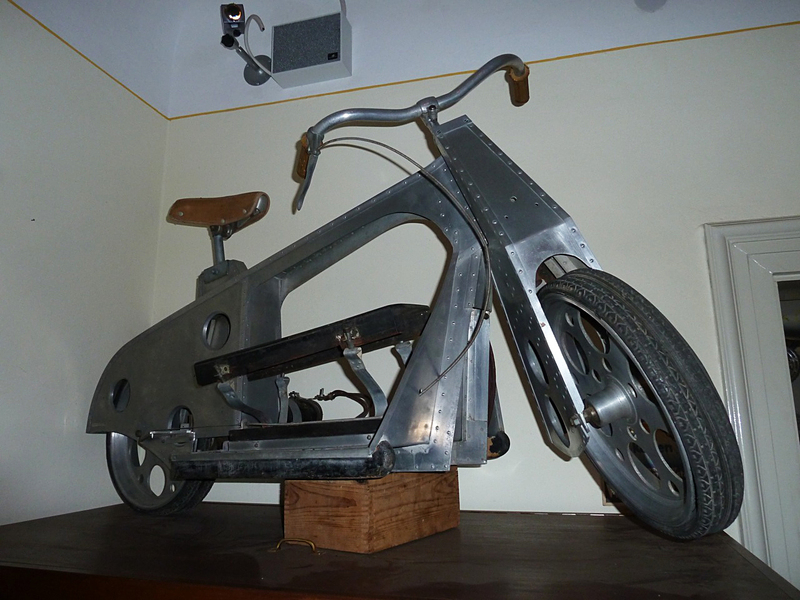 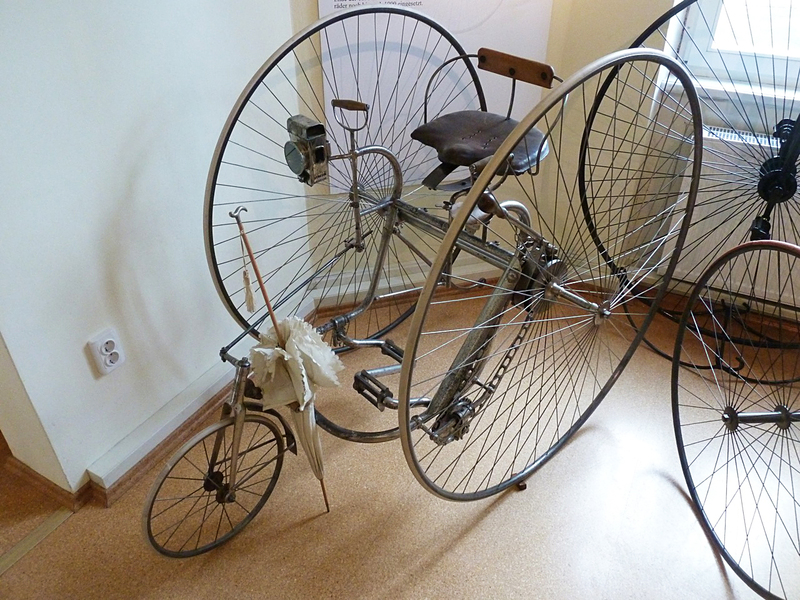 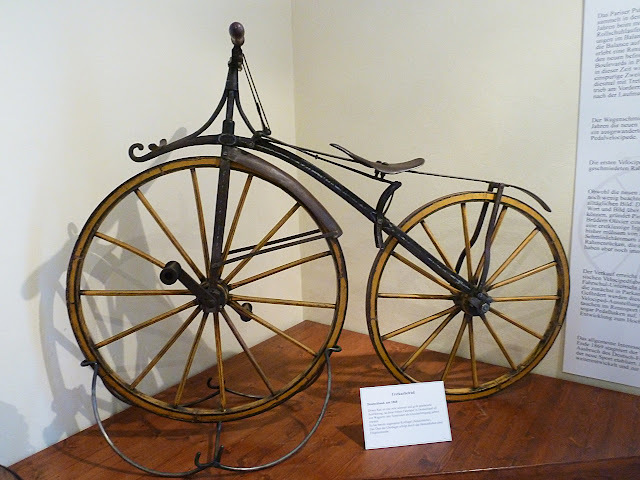 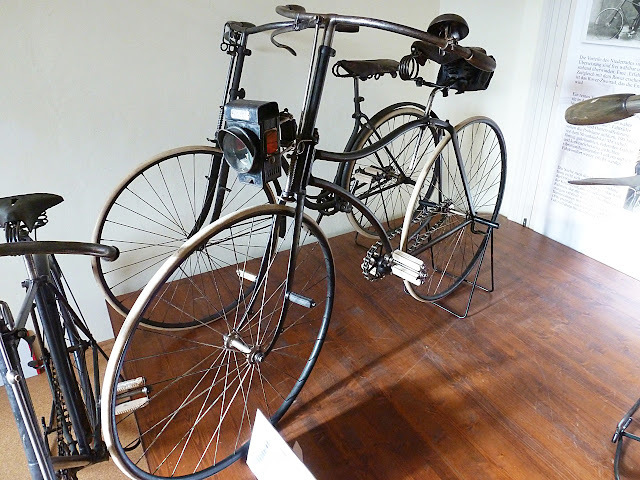 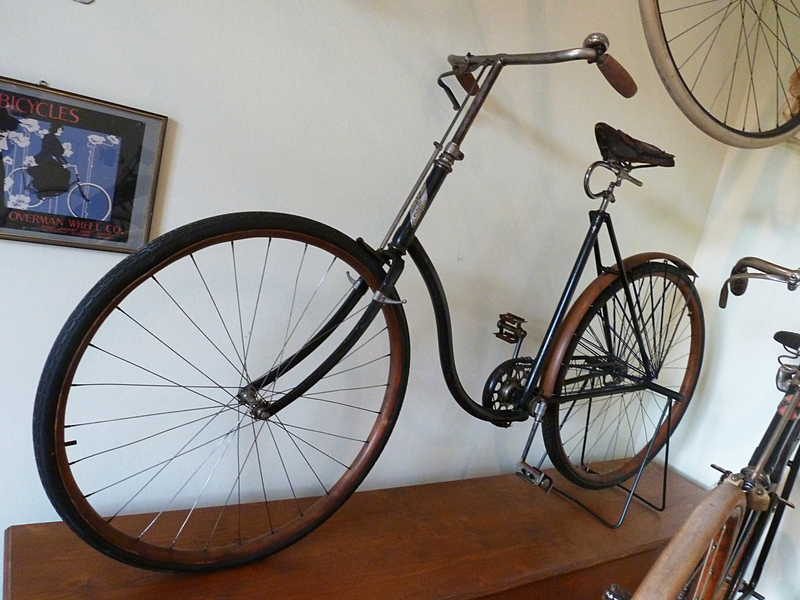 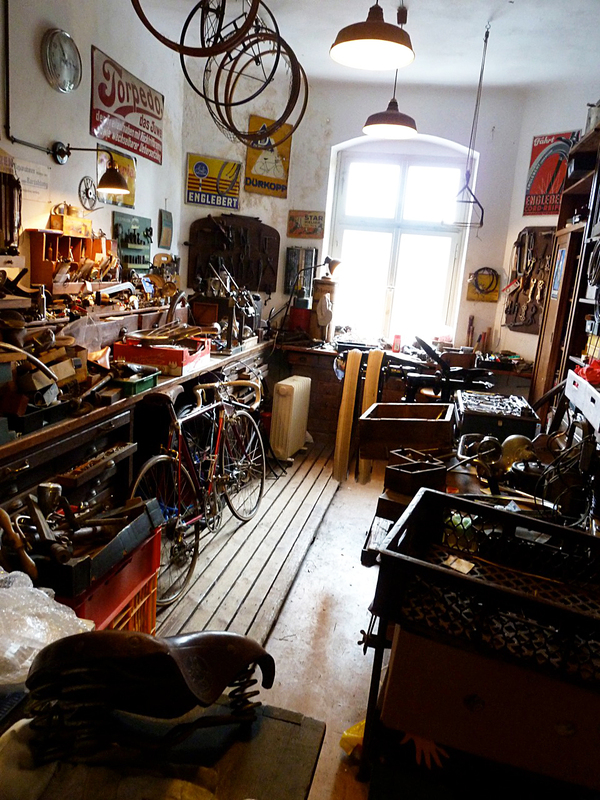 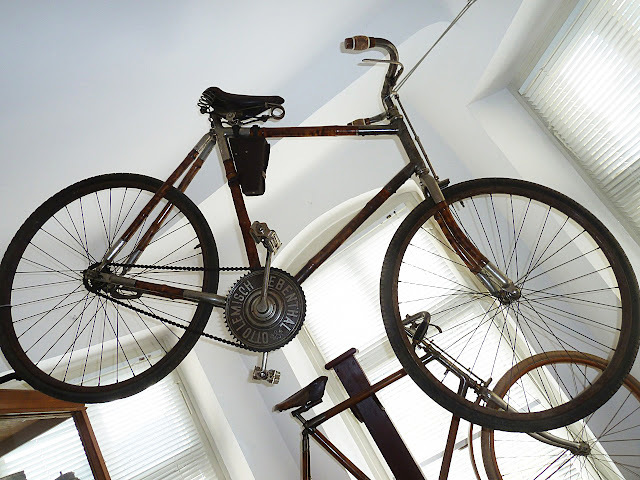 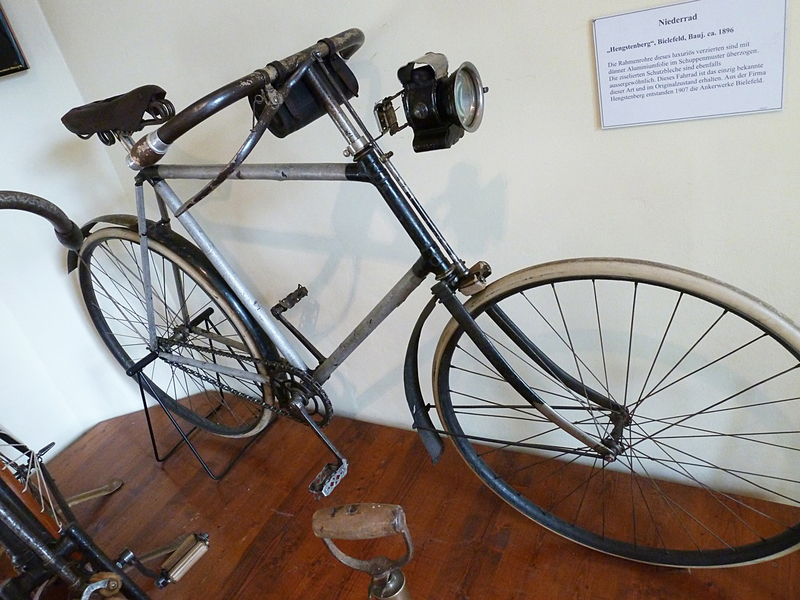 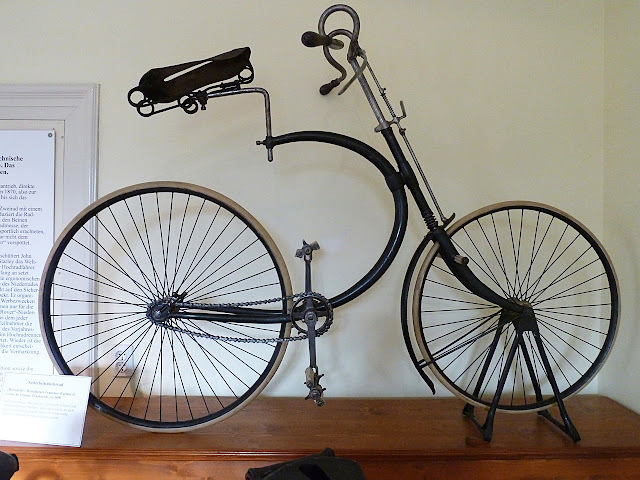 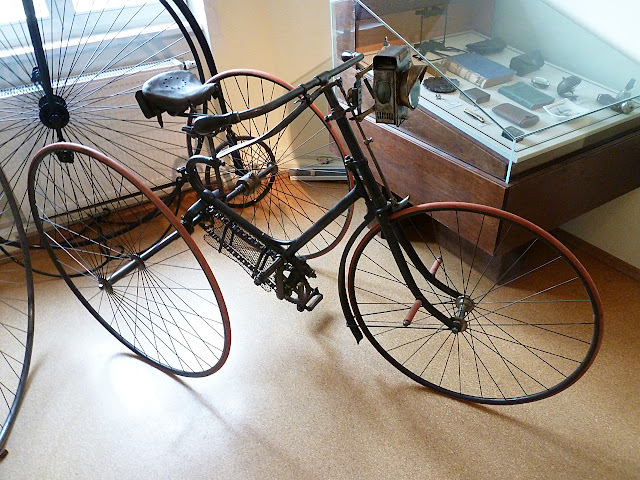 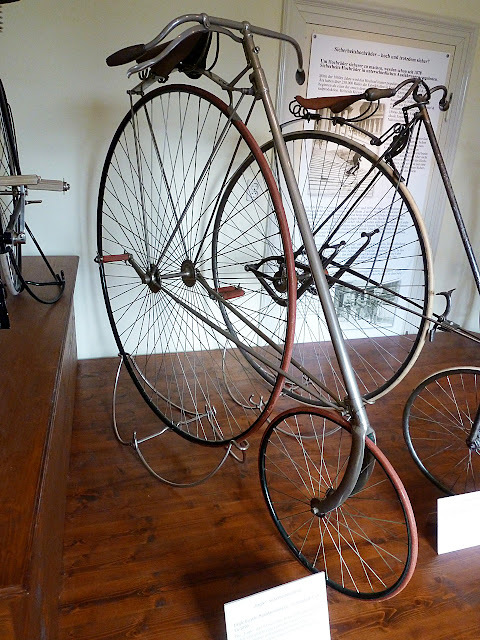 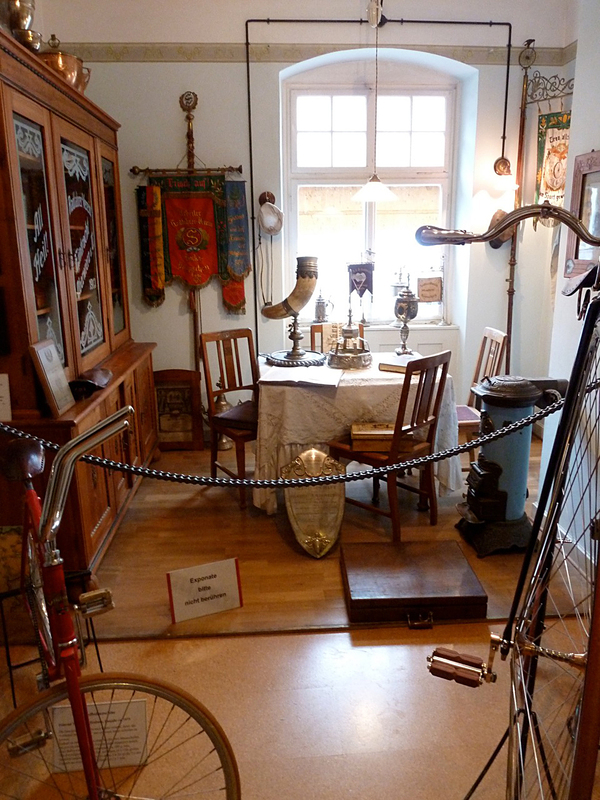 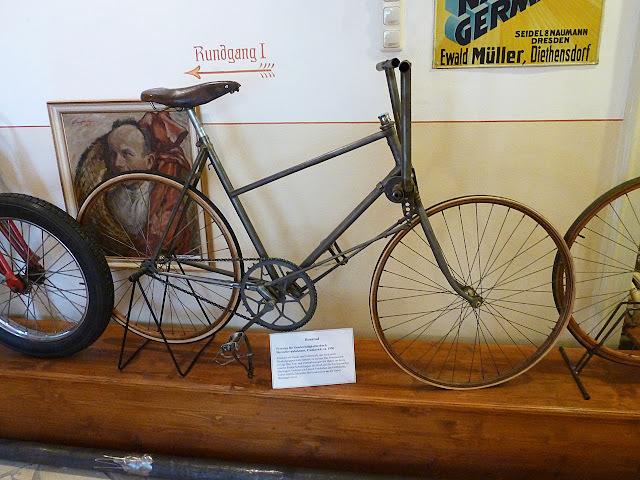 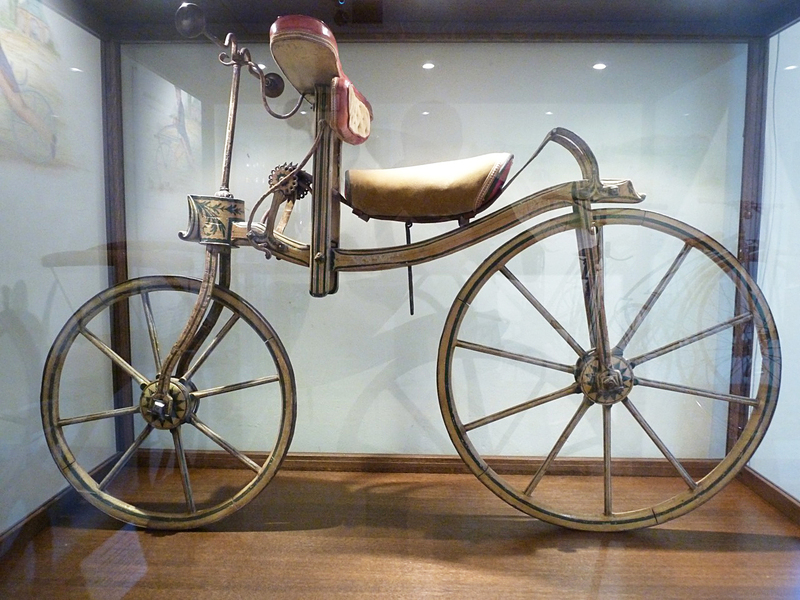 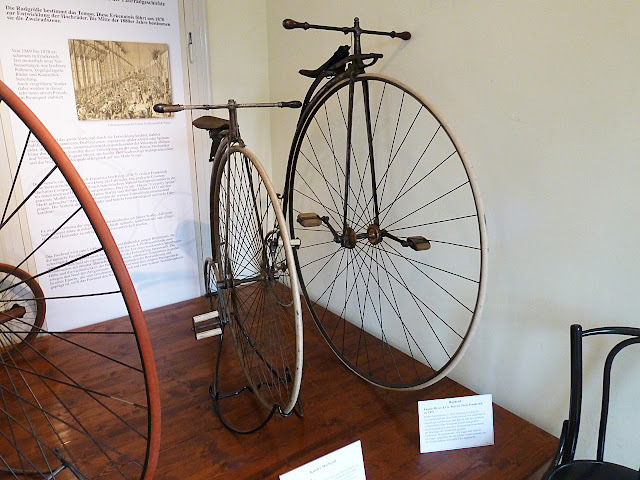 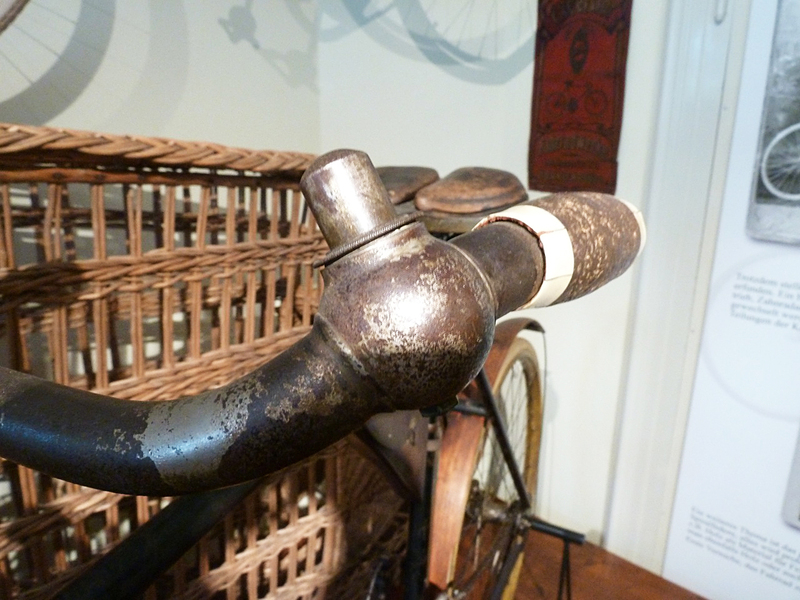 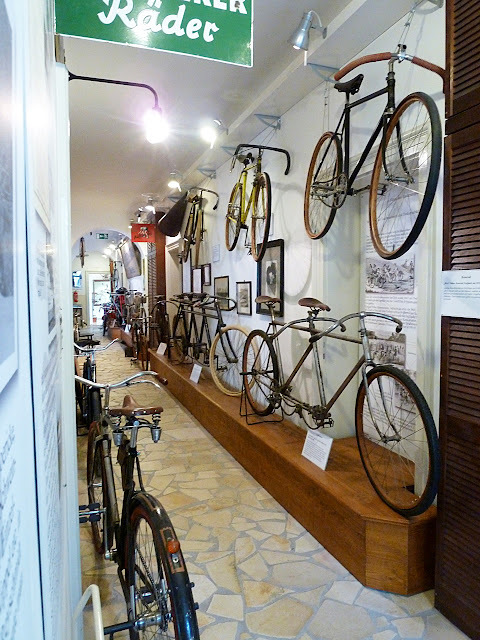 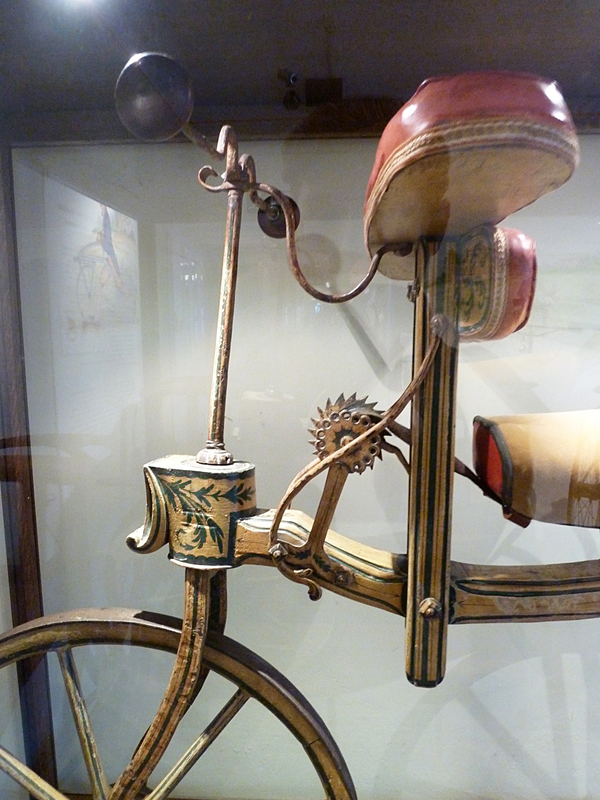 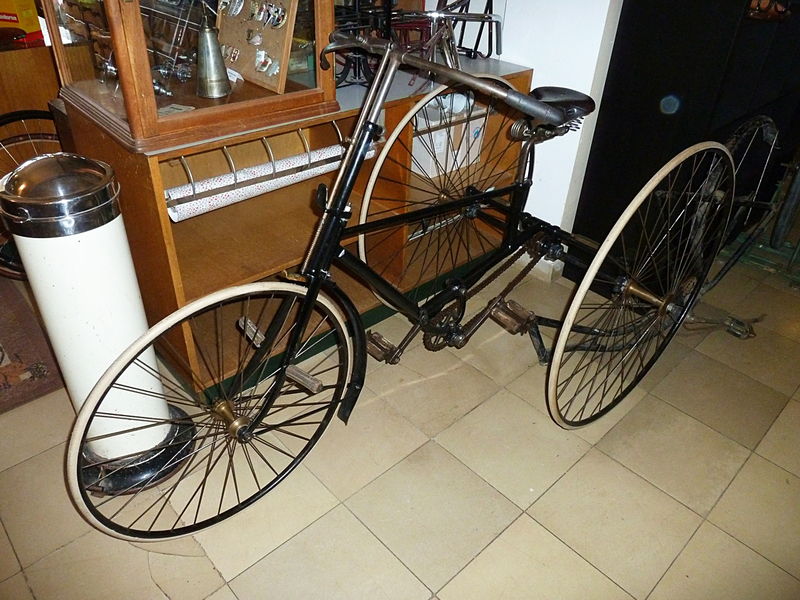 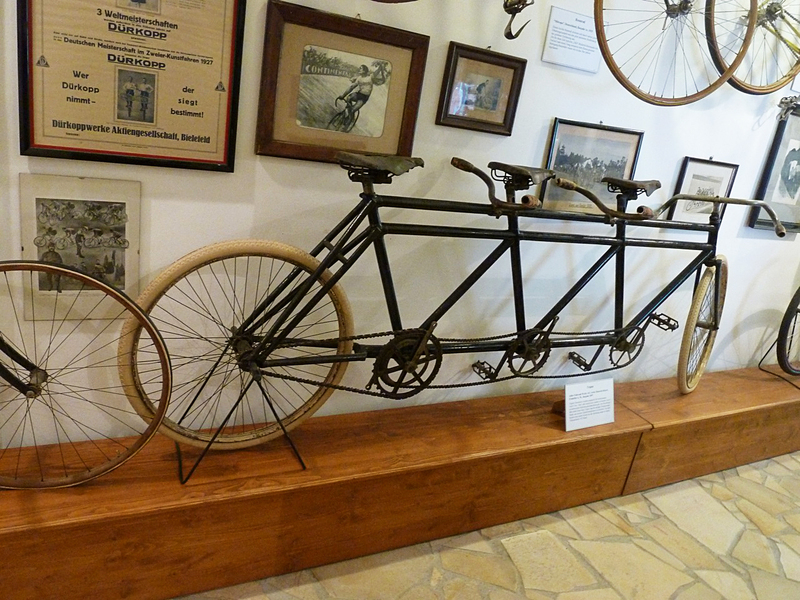 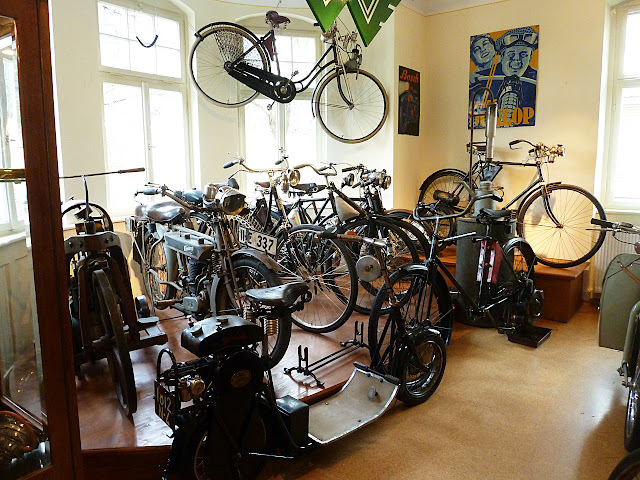 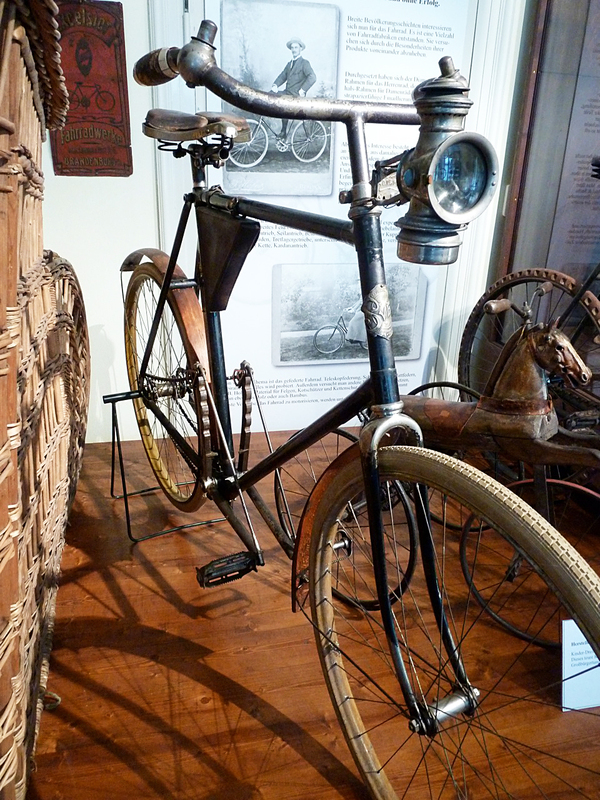 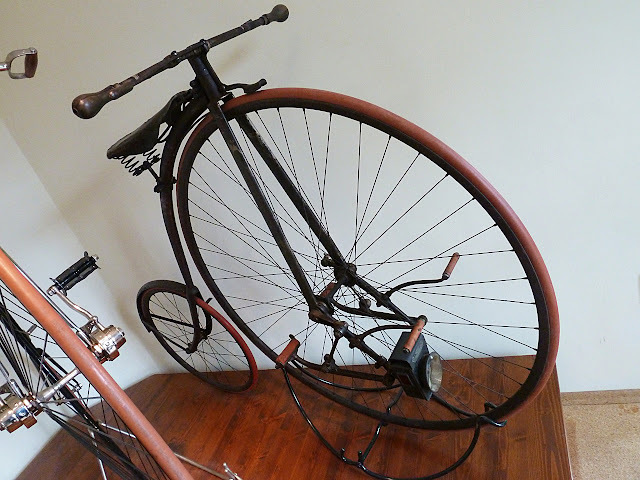 If you are interested in bicycle history and you visit Germany a stop at Ivan Sojc´s german bicycle Museum in Bad Brueckenau is a must. 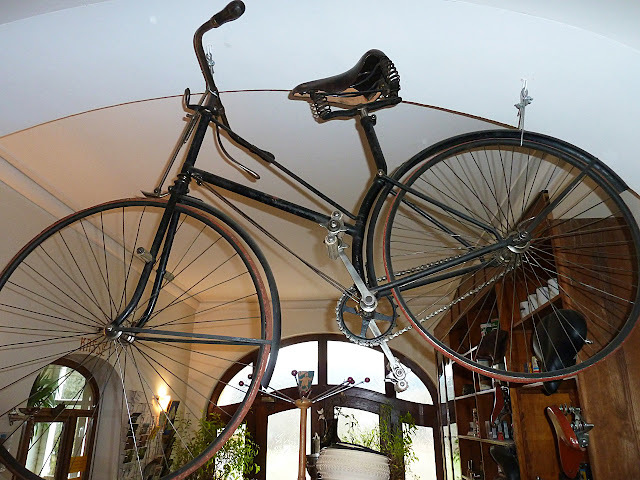 The art nouveau villa with more than 450 m2 houses almost 230 bicycles from all eras. 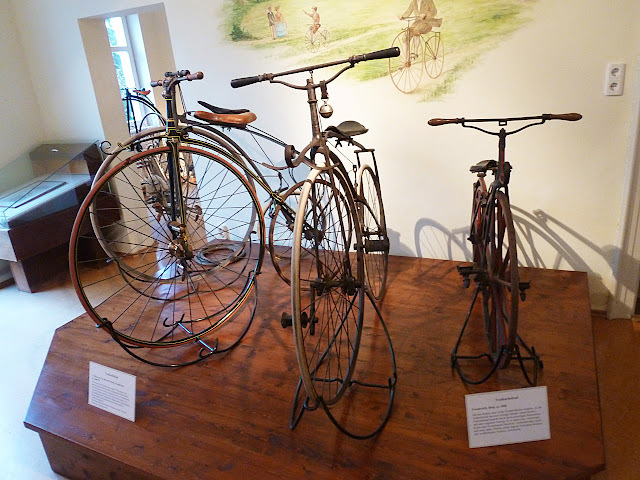 Very nice velocipedes, ordinary bicycles and safety bicycles, modern bikes and curiosities like the safety bicycle made by Valentin Wiegele (Austria, for sure one of the first safety bicycles) are shown. 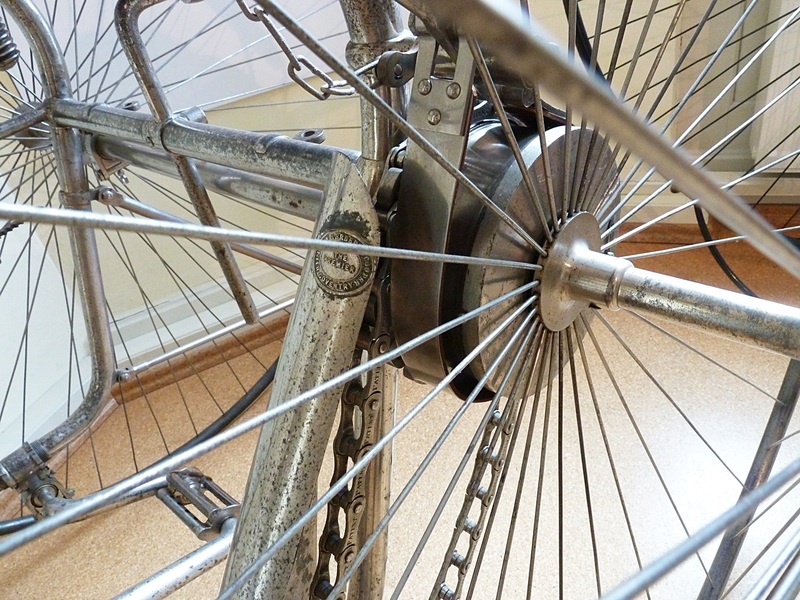 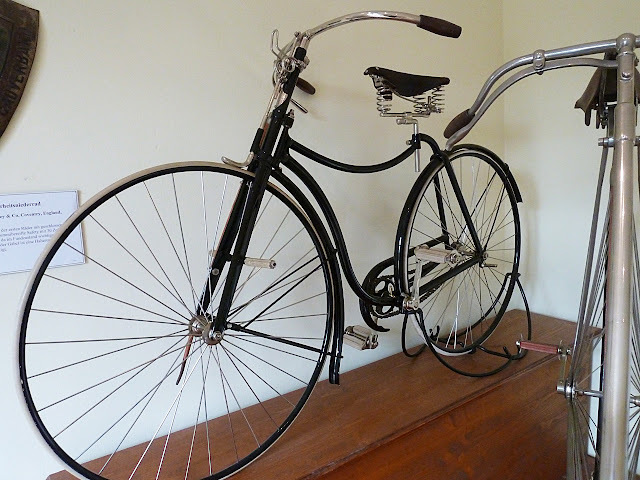 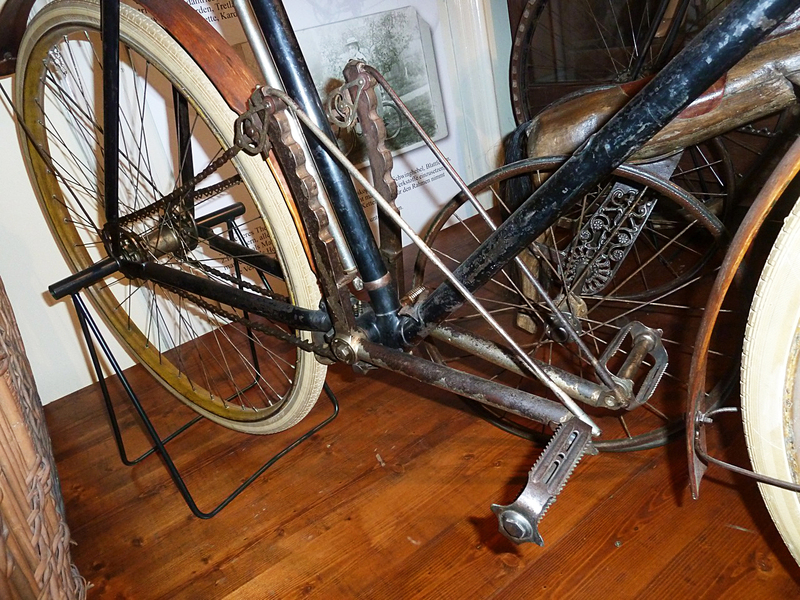 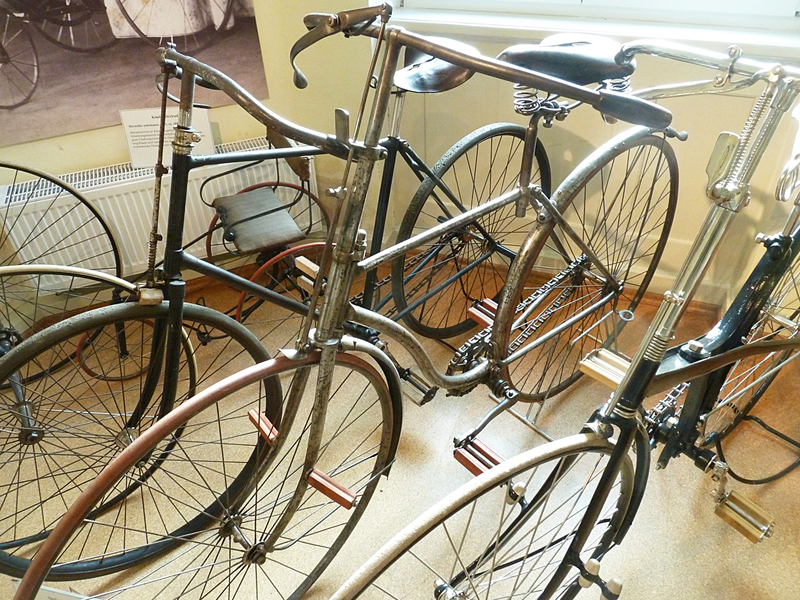 Most of the bicycles are still in origin condition, some of them are restorated. Also you can see very nice bicycle accessories, posters and advertising stuff. 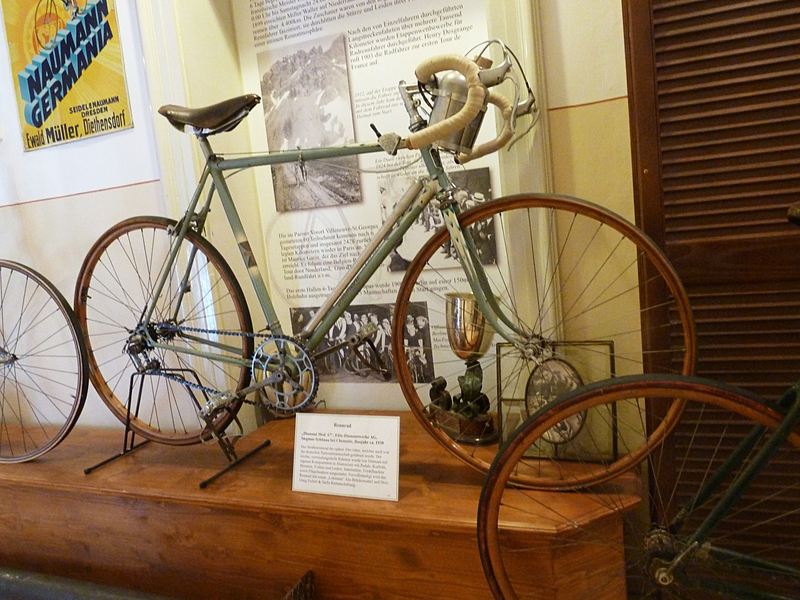 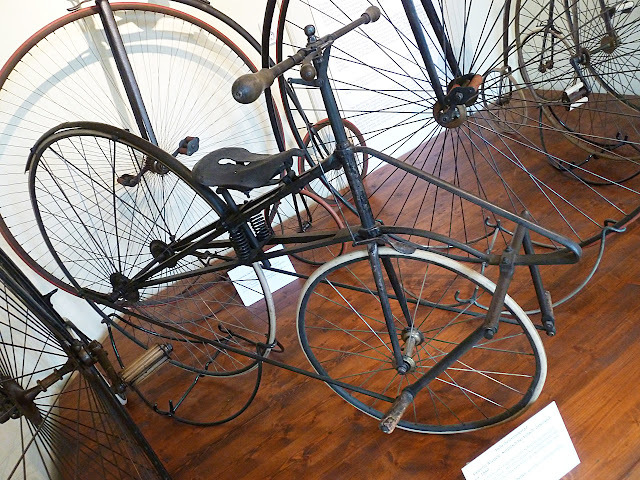 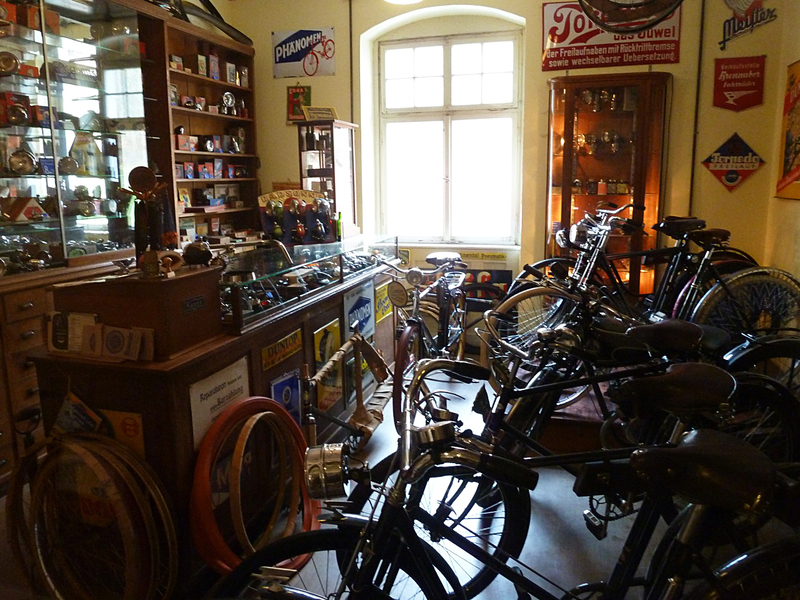 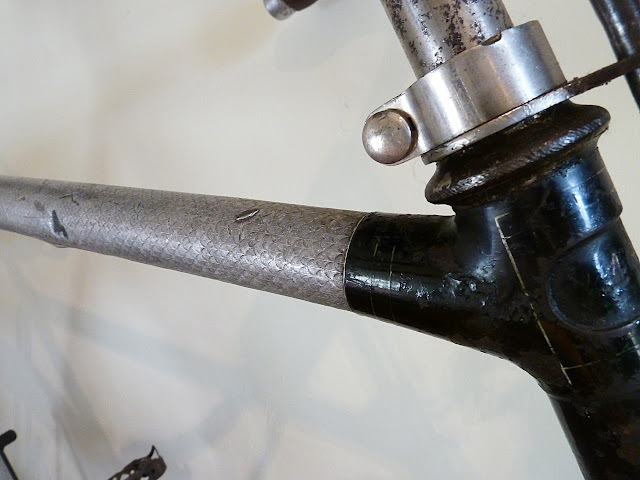 The museum has its own bicycle store where you can for example buy origin parts for your bike - if they are available. 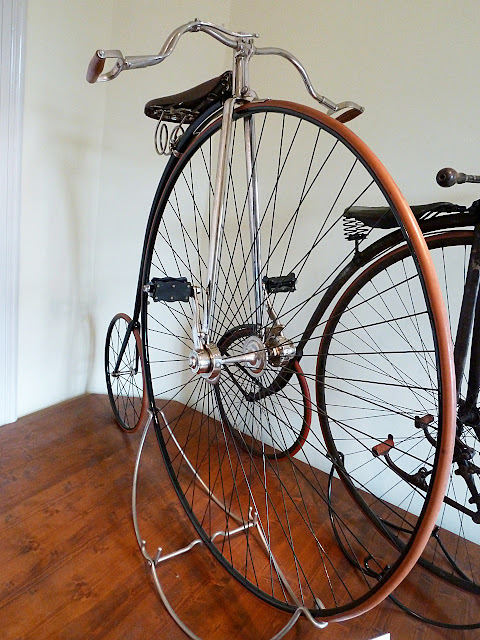 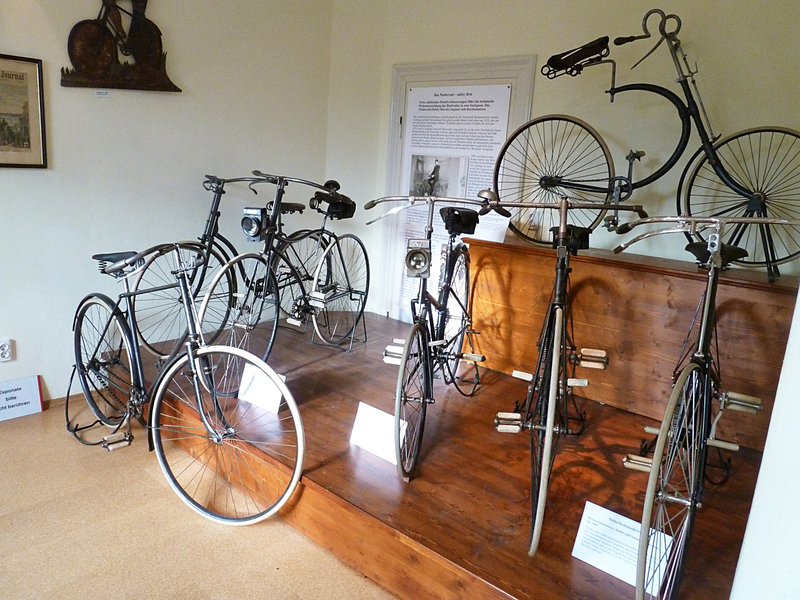 In summer you can give 20 different bicycles a try or have a coffee and cake in the museums own coffeehouse.